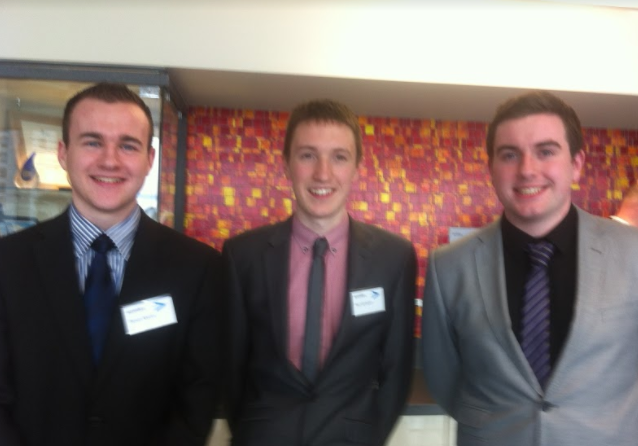 Keyzy was the outcome of a year-long final year module in DCU, New Enterprise Development. The challenge was to conceive a new product or service, assess it's commercial viability and build a business plan to bring the product to market. Keyzy was a small device that helped individuals with limited motor skills to guide their keys into keyholes. This module culminated in a Dragon's Den-style pitch to some of Dublin's business leaders and a full business plan, which can be viewed below. I generated the technical product drawings for Keyzy using CAD (Computer Aided Design) software which can be found in the business plan above. We reached the final of Accenture's Leaders of Tomorrow business plan competition, pitching Keyzy to the Managing Director of Accenture's Irish operations, and other industry leaders in media, healthcare and finance.